The Naganuma School offers a proprietary scholarship. You may also apply for external scholarships. 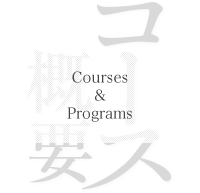 The Naganuma School has a proprietary scholarship and award system available to students. Apart from that, you may apply for external scholarships by the recommendation of the school. Each scholarship has conditions for application. To be eligible, the students need to record excellence in study at Naganuma, good attendance rates and attitude and show evidence of financial need. Students receiving assistance are expected to maintain exceptional academic performance in school. 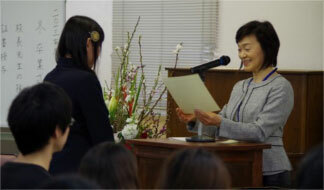 Apart from the scholarships, there are two awards granted to the Naganuma students by the school. Granted to students who demonstrate excellent performance in study, attendance rates and attitude in class for one year. Granted to students who attend school without missing a single day and are never late for class throughout one year. * Both awards are granted at the end of each school term. * This is the most well-known scholarship system in Japan. * Granted to those who came from Asia. 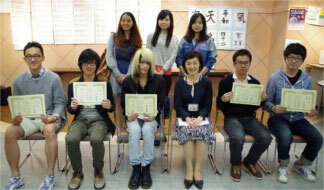 There are many other scholarships granted by Japanese public or private organizations. Please check them on the following sites. 1) JASSO "SCHOLARSHIP FOR STUDY IN JAPAN"